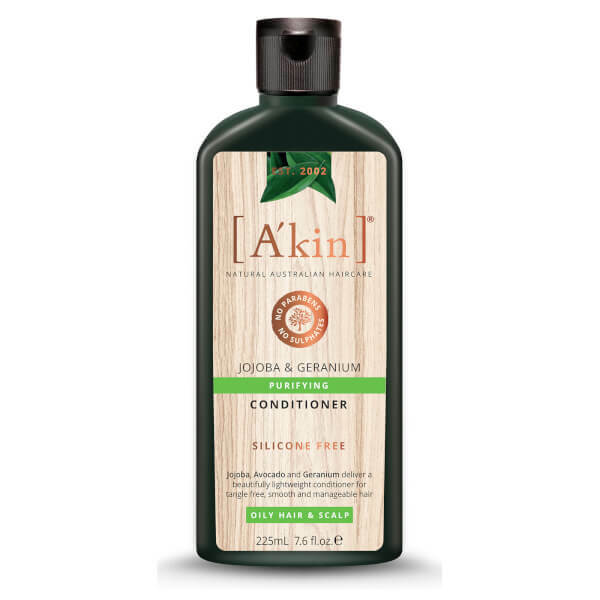 Achieve smooth, manageable locks with A'Kin Purifying Jojoba & Geranium Conditioner; a lightweight, natural formula that delivers a salon-worthy finish. Enriched with Jojoba, Avocado and Geranium Oils, the nourishing conditioner softens and hydrates hair, whilst effectively detangling knots for super sleek results. Ideal for oily hair and scalp, you can expect replenished and rejuvenated strands from root to tip. *Derived from botanical sources. †Certified organic. #GMO free.